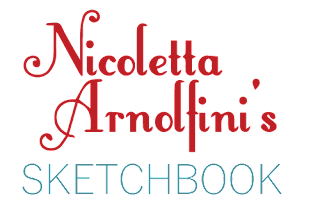 Sketchbook blog: Trick or Treat! 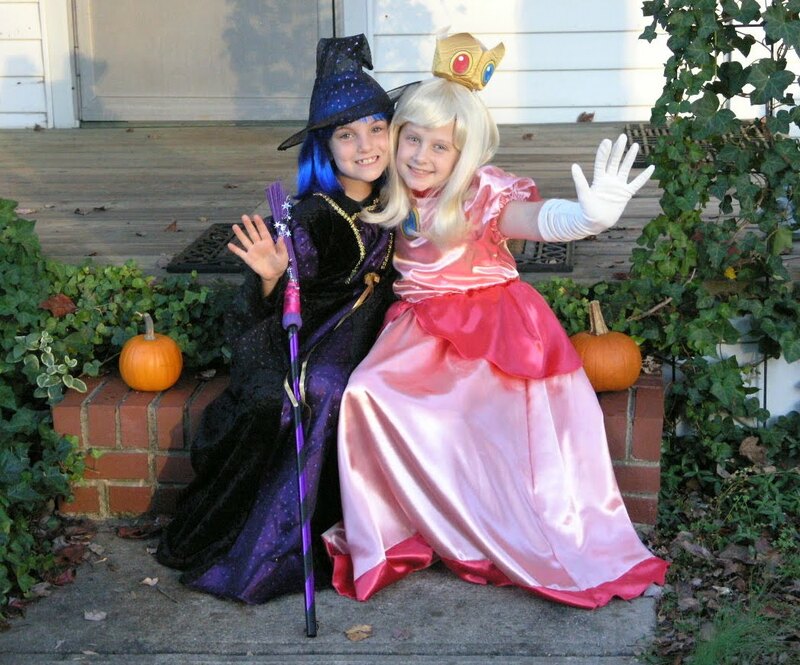 Clarice & her friend, Annie, went Trick or Treating last night. 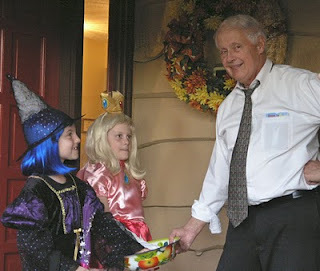 Here they are getting goodies from Dad Arnold. 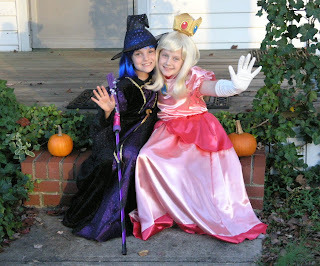 1 witch with blue hair + 1 Princess Peach with blonde hair = 2 much fun.